The cyclists, who unintentionally spooked a horse, stop to help remove its load so the animal could get up. Laguna local Hans Rey and Austrian champion trail biker Tom Oehler explored the rough and remote Guatemalan Highlands riding trails at an elevation of 10,000 feet in January. 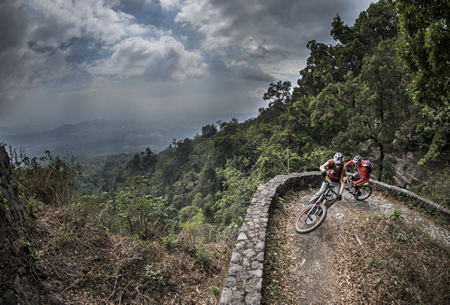 Hans Rey and Austrian champion trail biker Tom Oehler explore Guatemala. The hut-to-hut trip took the adventurers to the homes of some previous recipients of bicycles distributed to local school kids. Thirty-one more bicycles – at a cost of $150 each — were given to students who live far from their school. 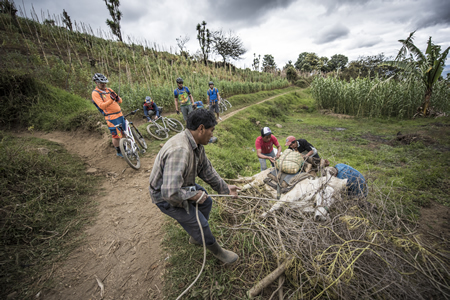 Somewhere between Laguna Magdalena, Chortiz and Acul Quiche, where local families took in the visiting cyclists. 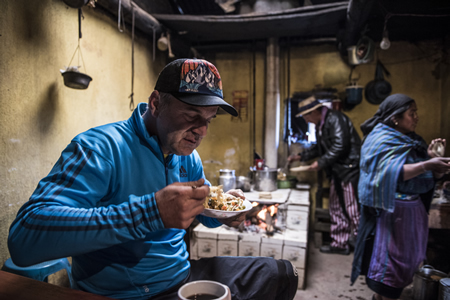 Austrian photographer Stefan Voitl organized an exhibit of his shots from the trip and donated the proceeds to Rey’s Wheels 4 Life. 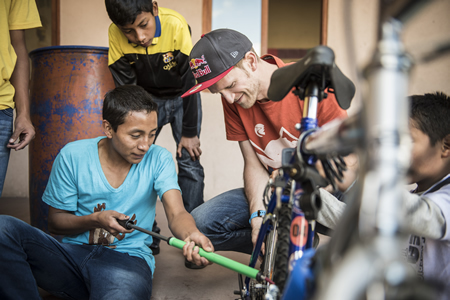 The Laguna Beach-based foundation established by the former mountain bike world champion has delivered more than 7,100 bikes in 200 developing countries as of April. He’s currently fundraising to bring bikes to quake-hit Nepal. 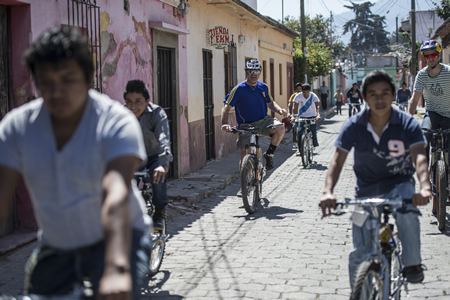 Riding the cobblestones of Antigua with some of the 31 recipients of Wheels 4 Life bikes. 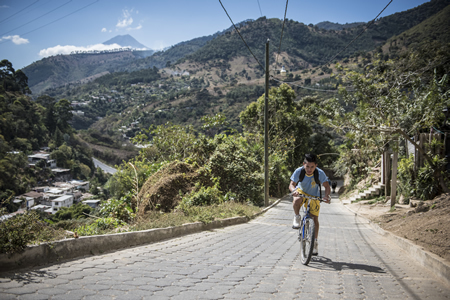 Kevin pedals near his home in Antigua, Guatemala, with ease and cruises the 10 km journey to school through cows and traffic like a New York bike messenger. In Antigua at the Education For The Children school, Tom Oehler shows a recipient of a new bike basic maintenance. Photos by Stefan Voitl.